Managing a non-profit organization requires a unique set of skills. It is more than simple business acumen and book keeping. 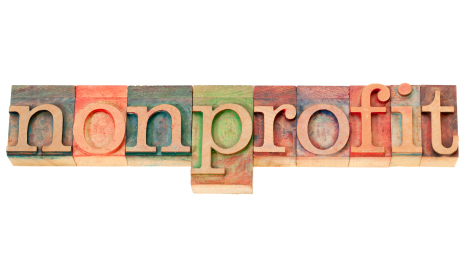 While not-for-profit organizations share similar business models with for-profit corporations, their management teams must also have a solid background in public administration,labor and race relations, fund raising, public relations, and law. Executives in the non-profit sector also need strong interpersonal skills that will give them the edge on wooing potential donors while courting the public’s good will. To be successful in the non-profit sector, executives must have a wide range of business skills, and the drive to make a positive social impact. The demand for qualified executives in the non-profit sector continues to grow. Many national and regional non-profits are suffering from a lack of experienced management teams who posses the unique skill set necessary to keep a not-for-profit organization running successfully. In response to this growing need, many colleges and universities are now offering professional degrees in non-profit management. Students interested in pursuing career in the non-profit sector will find a wide range of new scholarship opportunities designed to suit their educational and professional ambitions. Professionals in the non-profit sector will earn positions commensurate with their educational experience. While entry level positions may be open to graduates with associate’s and bachelor’s degrees, management teams will be looking for executive material with an MBA or graduate degree in non-profit management. Experience in the field counts for a lot, but when it comes to heading a successful not-for-profit organization the board of directors will be looking for applicants with a comprehensive educational background. Students interested in pursuing careers in non-profit management should look to colleges, universities and business schools for possible scholarship opportunities. While many scholarships for non-profit business administration are sponsored by professional associations, most are funded by independent endowments and are administered through the financial aid offices of colleges and universities with non-profit management studies programs. The following programs are indicative of the types of scholarships available to students interested in pursuing degrees in non-profit management. Marlboro College Graduate School has partnered with the Vermont Arts Council to offer the Non-Profit Arts Management Training Scholarship. The program is open to Vermont residents who have been accepted into Marlboro College’s non-profit management degree program. Applicants must either be employed by a not-for-profit arts organization in Vermont, or must have completed one of the Art Council’s ‘Breaking Into Business’ programs. The Government Finance Officers Association sponsors the annual Minorities in Government Finance Scholarship. This program is open to all African-American, Hispanic-American, Asian-American, and Native American students pursuing degrees in finance, business administration, or non-profit management. Applicants must be U.S. citizens, and must be currently enrolled at an accredited college or university. The total annual award is $5,000. Brandeis University administers the Heller MBA Fellowships and Scholarships for Non-Profit Management. To be eligible, students must be working towards their MBA in non-profit management at Brandeis University. All awards are decided on a combination of academic merit and financial need. Scholarships range from $3000 to $10,000. Baruch College in New York State offers the Hearst Fellowship in Non-Profit Management. The program is open to new and returning students pursuing degrees and careers in non-profit management. Applicants must be currently enrolled in Baruch College’s School of Public Affairs. The fellowship provides funds for one year of study. Case Western Reserve University is home to the Mandel School for Applied Social Sciences. The school specializes in training students to enter the non-profit sector, and is one of the first colleges to offer a Masters of Non-Profit Management degree. All attending students are eligible to receive a grant or scholarship to help defray the costs of their college tuition. Case Western estimates that more than 75% of their students qualify for financial assistance. The Project Management Institute administers the Jerry King Memorial Scholarship for Project Management Excellence . The scholarship is open to PMI student-members who are enrolled in a certificate or degree granting program in non-profit management. This is a one time scholarship award of $1000. The management of a non-profit organization requires a diverse range of business skills, coupled with the desire to make a difference in the lives of others. This drive to make a positive social impact lies at the heart of all non-profit organizations. Students pursuing degrees and careers in non-profit management will find their future filled with great challenges, and even greater rewards.